50 years of manufacturing experience. Our products are synonymous for High quality, Reliability & Outstanding performance. ThrustEMS envisions our understanding of the complete and ultimately reliable Electrical Maneuvering System (hence the abbreviation). 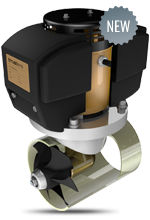 Our ThrustEMS bow thrusters, especially when used together with a ThrustEMS stern thruster, prove invaluable when mooring or leaving the marina. 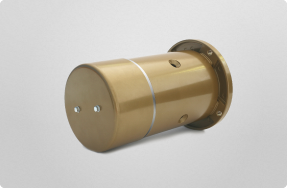 Our innovative product range presents an even more versatile application of thrusters. 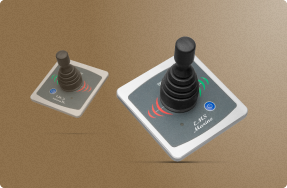 Our thrusters combine the most extended run-time on the market with variable thrust, making them ideal for integrated joystick control systems. Thus, we have successfully developed thruster systems which minimize overheating and provide alternative to rudder steering at low speed maneuvers well outside the marina. Through our numerous contacts with boat-owners and shipbuilding companies we realize the utmost importance of run time, energy efficiency and compact installation sizes of electrical maneuvering systems. 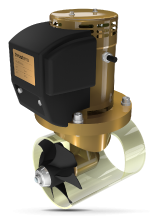 Our Standard series lives up to the expectations of existing thruster systems, whilst possessing some characteristic ThrustEMS features. Our MultiSpeed thrusters give immediate fingertip control of three distinct thrusts for maneuverability in any situation. MultiSpeed Performance series combines the latest innovations on the thruster market – extended run-time and variable thrust. You get so many advantages with our products. 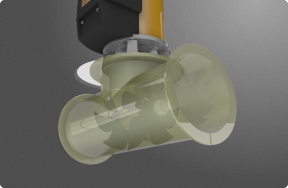 ThrustEMS envisions our understanding of the complete and ultimately reliable Electrical Maneuvering System (hence the abbreviation). 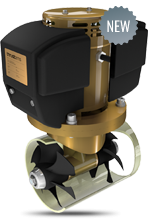 Our ThrustEMS bow thrusters, especially when used together with a ThrustEMS stern thruster, prove invaluable when mooring or leaving the marina. Taking full control of your boat when trying to berth in the ever tinier marina boxes or in a congested dock with little maneuvering space available is no longer a troublesome experience. 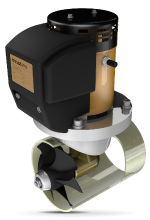 Regardless of harsh environmental conditions, such as strong side wind and severe water currents, our ThrustEMS product range is there to provide the required steering and maneuvering support. 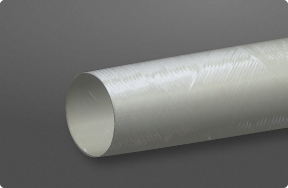 An easy to access and replace ALUMINIUM anode forms an integral part of our thruster systems. It gives the necessary protection of metal parts against destructive electrolysis and erosion in the presence of sea water. Restore and improve the quality of your existing electrical maneuvering system! Elprom EMS JSC, 5700 Teteven, Bulgaria, 55, Varchetz Str. © 2013 ThrustEMS. All rights reserved.